Early intervention, appropriate support and management have been identified as factors that lead to better outcomes for children with FASD and their families. Evidence-based interventions are therapies that have been shown through scientific studies, to consistently improve outcomes. The overseas experience tells us that children with FASD benefit from early intervention, but there are currently very few evidenced-based interventions and very few therapists currently using those that are. There are many types of practical services that might help your child living with FASD. 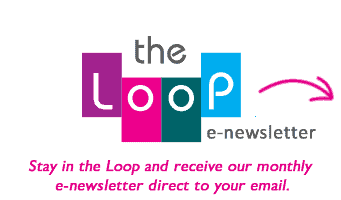 These can include occupational therapy, speech therapy and physiotherapy. Every child with FASD is different so if your child has a diagnosis, the health professional you consulted will help you work out which of these services may be necessary to best meet the needs of your child. • Occupational therapists support children and young people to develop their fine and gross motor skills, cognitive skills, social skills and independent living skills in order to increase success in their daily lives. They can also provide strategies that can help with sensory processing issues. • Speech therapists can support children with their speech development, receptive and expressive language development and visual resources and communication programs for children who are non-verbal or developing language. • Physiotherapists can provide treatment designed to enable children to achieve their own level of functional motor skills like sitting or standing. Toys, games and specialised equipment are used to encourage the development of the child’s motor skills, in conjunction with specific handling skills. The physiotherapy program becomes part of the child’s activities during the day, as parents are shown the best way to assist their child during day to day care and play. 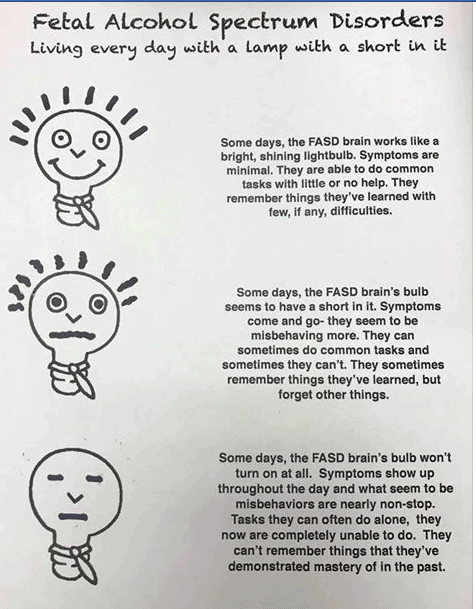 Raising a young person with FASD can at times be isolating. You are not alone. Please call NOFASD’s hotline on 1800 860 613 if you wish to talk to someone about your experience and receive support. In November 2018 a panel of parents and carers spoke about their experiences raising children with FASD. Watch a recording of this session below. The following fact sheets provide information on common FASD behaviours and consequences. We have included a range of strategies and environmental accommodations that may help to improve quality of life outcomes. Strategies not Solutions: A resource developed to educate caregivers and the community in managing the behaviours associated with FASD throughout the lifespan. The project relied heavily upon caregivers and professionals who provided information, advice, and feedback. Tips for Parents and Caregivers: These tips and examples prepared by the FASD Network of Saskatchewan were compiled from years of experience as caregivers to individuals living with Fetal Alcohol Spectrum Disorder. The tips were meticulously researched and tested by the 12-member board that leads the Network. Eight magic keys of success – nine short videos. Advice for Families About FASD – a video from NOFAS-UK.